حجم معاينة PNG لذلك الملف ذي الامتداد SVG: 800 × 533 بكسل. الأبعاد الأخرى: 320 × 213 بكسل | 640 × 427 بكسل | 1٬024 × 682 بكسل | 1٬280 × 853 بكسل. 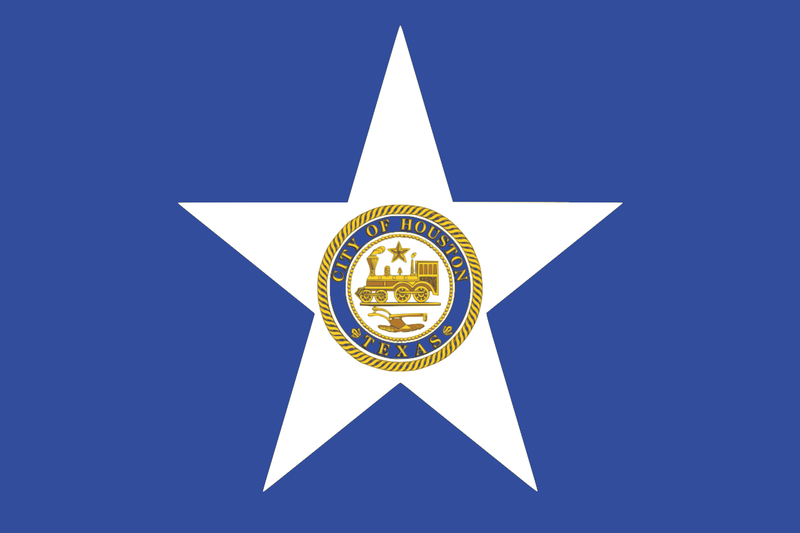 English: The official city flag of Houston, Texas, created in 1915. SVG image created by uploader based on a bitmap image on the Wikipedia and other images on the web. حالي 14:11، 29 مايو 2018 1٬280 × 853 (710 كيلوبايت) TheTexasNationalist99 Worked out a better correction. 03:16، 29 مايو 2018 400 × 267 (356 كيلوبايت) TheTexasNationalist99 Color correction and seal correction using https://en.wikipedia.org/wiki/File:Seal_of_Houston,_Texas.svg and according to https://www.houstonpublicmedia.org/articles/shows/houston-matters/2016/08/16/164331/houstons-first-ever-city-song-took-some-liberties-with-history/ and https://www.triconamericanhomes.com/regions/houston/.